We will now consider REASONABLE offers on all listed items on this site. Also will consider longer layaway terms if you need the help. 1911 style with full size frame, 5” match grade bbl., meltdown slide treatment, night sights, ambidextrous safety, Rosewood checkered grips, match adjustable trigger, checkered front and back straps. Gun is New with original hard case, tools, lock and paperwork – see photos. 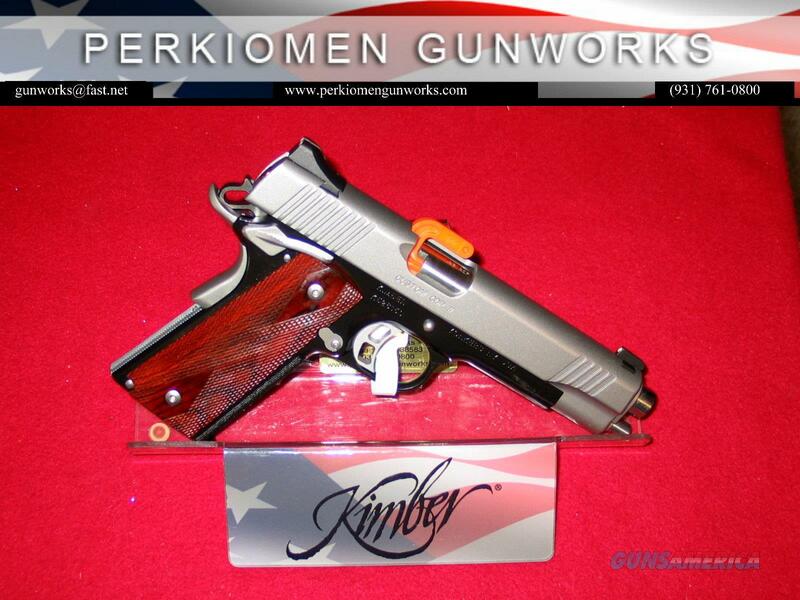 With one Kimber 7+1 magazine (Extra KimPro 8rd mags available). +Insured S&H - FOR FREE on this item while supply lasts.